Discover how to fill that hole you've been trying to fill with food and drugs. 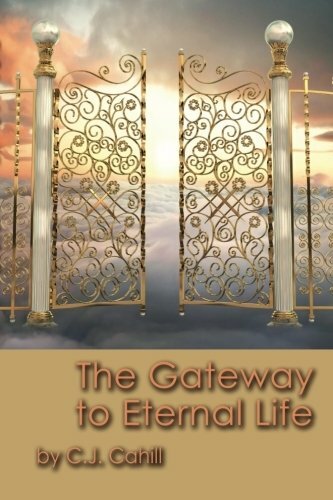 The Gateway to Eternal Life is a must read during troubled times and personal struggle. Author C.J. Cahill shares her life experiences to help you discover why you are sick and just can't seem to have victory over illness. Learn to embrace how to find and live ETERNAL LIFE-and watch your very fears and anxieties dissipate. The Gateway to Eternal Life shows you how to experience the most wonderful peace you will ever find. C.J. Cahill lives in northeastern Vermont with her husband. She has two daughters, four grandchildren, and has written many poems inspired by faith. Watch for her next book entitled Divine Godly Healings.